2018 continued to be a busy year for Jubilee collectors in the London auction houses. First off on March 9th was Argyll Etkin’s sale which included Brian Brookes’ collection of Channel Islands, which included this complete used pane of the 4½d (lot 1067), which is the only example I have seen. There was also a used 10d pane, but I’ve seen several of these and they are always cancelled in the Channel Islands as they were used to pay customs duty on products such as tobacco. Even though there is a little soiling and minor fading of the green, it sold for £290 plus commission. Lot 257 in the Murray Payne sale two days later caught my eye, but I scoffed at the £800 estimate. It sold for £1’600 plus 20% commission. Shows how much I know! 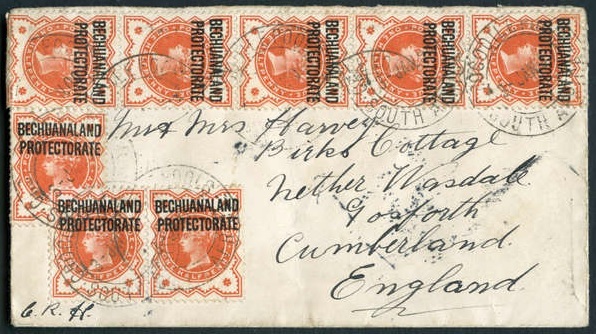 The double circle cancellation of “CROCODILE POOLS / SOUTH AFRICA” is obviously a rare one. However from this auction I did manage to pick up an envelope from Ascension with a pair of ½d blue-greens which I was very pleased about. Grosvenor had further material from the Dr. Peter Young collection in April. 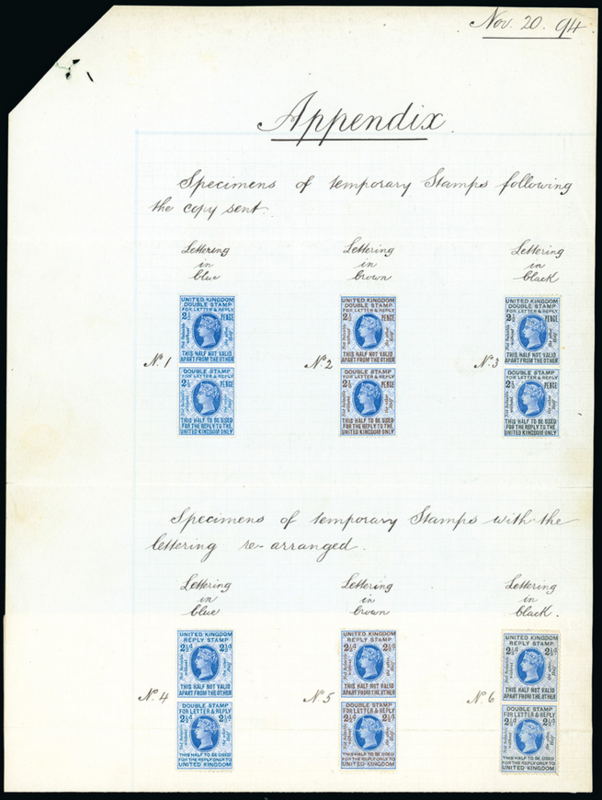 The highlight in terms of Jubilees was lot 193, this appendix page from the De La Rue archives for the unissued Reply Paid stamp. 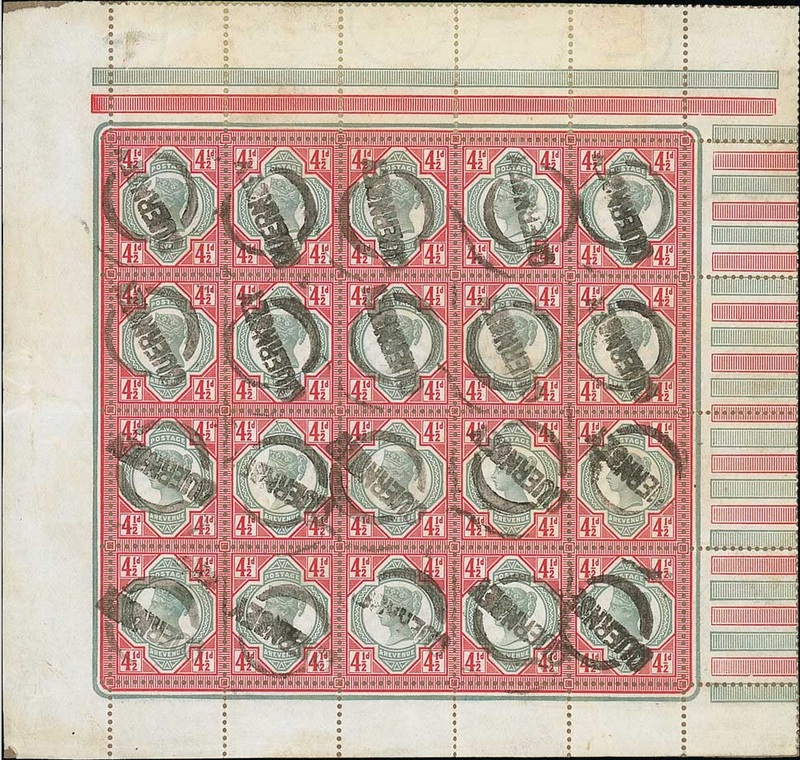 It’s unique in private hands, as an almost identical page resides in the Phillips collection in the Postal Museum. It sold for £4’200 plus commission. 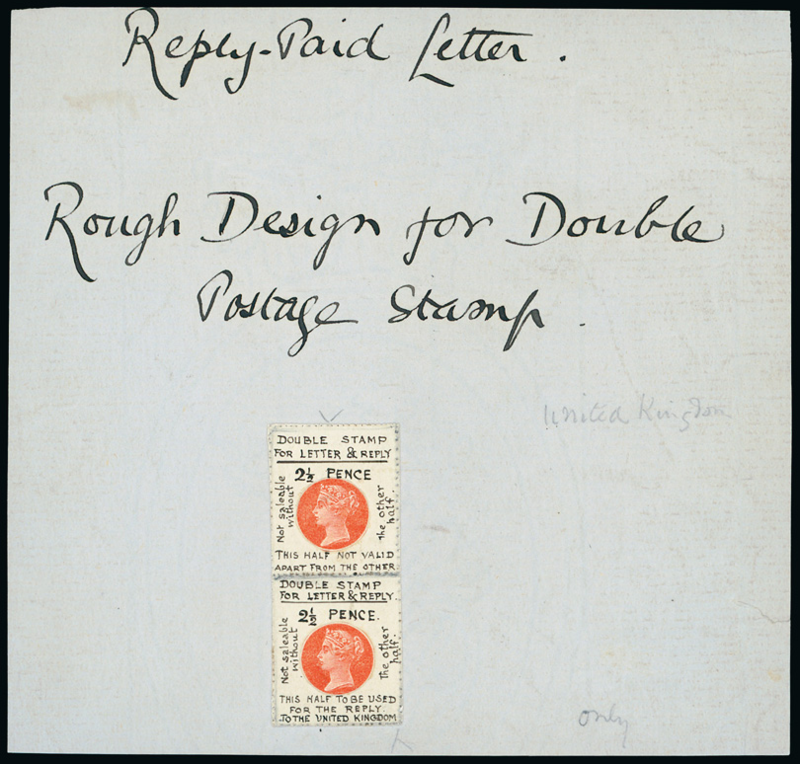 The next lot was another essay for this stamp which I hadn’t seen before. Interestingly, it has the centres of two ½d vermilions cut-out with the rest of the design done by hand. It sold for £1’800 pus commission. Would have loved to have bought both! 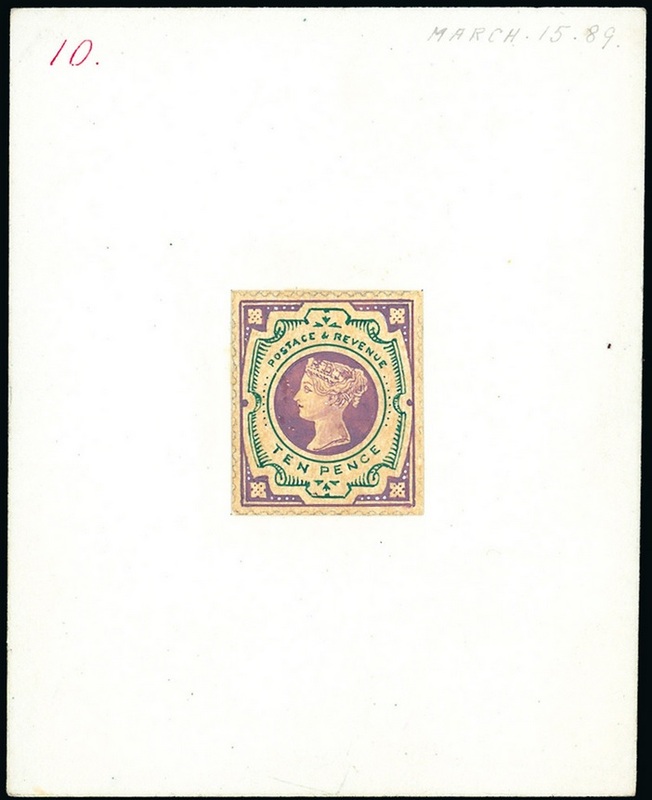 And I’ll finish with lot 925, this exquisite hand-painted essay of the 10d from the De La Rue archives. At £2’900 plus commission I thought it was a very reasonable price for a unique essay (there is another in the same design on tracing paper and cancelled by a pen cross in the Postal Museum).